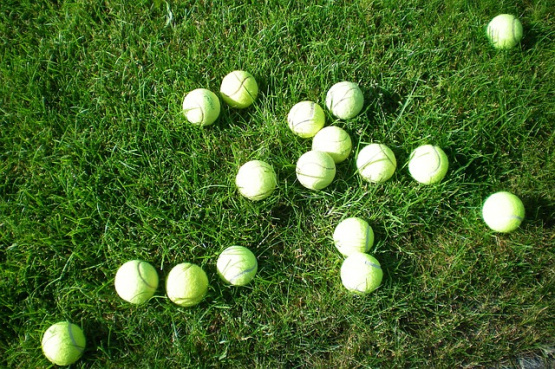 Tennis fans buying new equipment in preparation for Wimbledon are being asked to donate their old balls to Battersea Cats & Dogs Home. The call for old and new tennis balls comes after the rescue centre took in an influx of Jack Russell terriers, which love playing with the balls. Since the start of this year the rescue centre has taken in 38 Jack Russells and currently has a set of 13 in its care. The balls will keep the dogs busy while they're waiting to be adopted! Battersea Dogs & Cats Home never turns away a dog or cat in need of help and cares for them until new homes can be found for them. Every year, the charity takes in 8,0000 cats and dogs. Ali Taylor, head of canine welfare training at Battersea, says the timing of the appeal is ace considering the Queen’s Club Championships get underway today.